With Readly you can read Minecraft and thousands of other magazines on your tablet and smartphone. Get access to all with just one subscription. New releases and back issues – all included. Take to the skies and learn how you can make a variety of airborne builds in Minecraft! 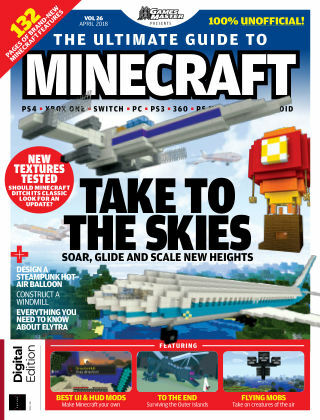 Plus, discover how to take on flying mobs, explore Minecraft’s new Java textures and much more!